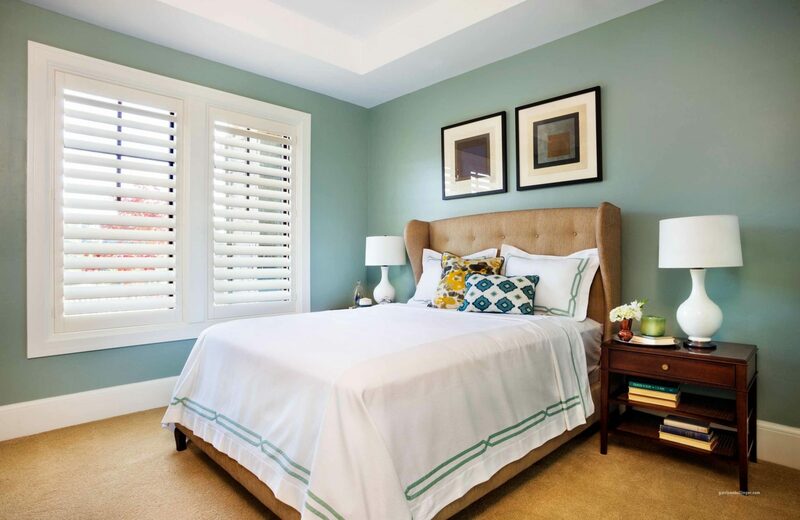 Bedroom color can make your room look perfect and make you satisfied. Therefore, the color selection should match with your personality. The bedroom is not just a place for resting, it is also a representation of your personality. The bedroom can be said as home inside the home. In this place, you spend most of your time. In this place, you can keep all your privacy as an individual. Therefore, this place should be able to bring relaxed atmosphere and also make you comfortable. The first step to get a perfect room is to find the right color idea. Any color you choose can give a different impression and different feeling. 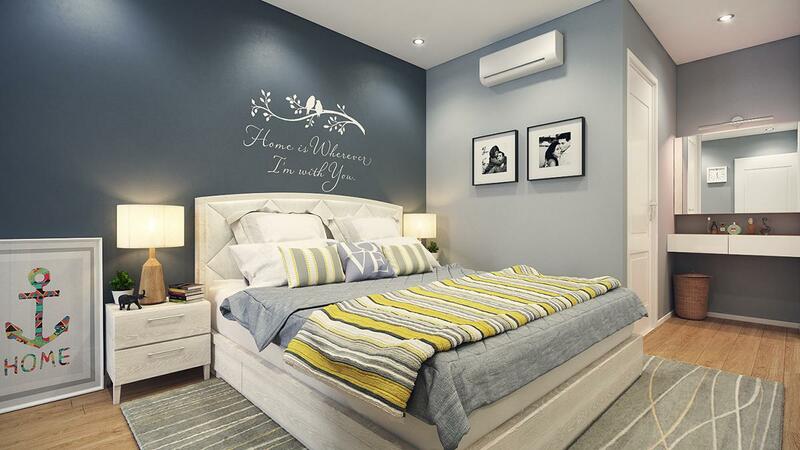 Besides color, you must be able to determine the right design for bedroom. You can arrange it in such a way, then provide a unique color that suits your lifestyle. You can also draw a unique picture on the walls of your room if you like artistic things. And if you have a room that fits your expectations then your productivity will increase. Because this place is an important part of your life in finding the inspiration. In fact, you may spend more time in this place in your life because it is the most comfortable place for personal. Therefore, this place needs to get special treatment. If you imagine a perfect bedroom, these are 20 bedroom color ideas that you can use as inspiration. Red and white color can be a good choice for your bedroom. Then you can organize the two colors differently from another. Actually there are already so many people use red and white for their bedroom. But most of them just applied the colors for the walls or for the roof of the room. Sometimes it has a stiff impression. To differentiate your own with the others, you can make the the combination between red and white differently. You can create a gradation color between them. If you can draw or paint, you know how to arrange the two colors as in the picture above. Or if you can’t, you can hire wall painters. To follow the color trend in 2018, you can try using the dark blue. This color represent the forceful but also give the warmness in the room. In order to make it not too stiff, you can add white color on the lines in the edges. Room accessories that is slightly classic will be good complement. You can choose a door for your bedroom that made from wood. This is good choice for 2018. 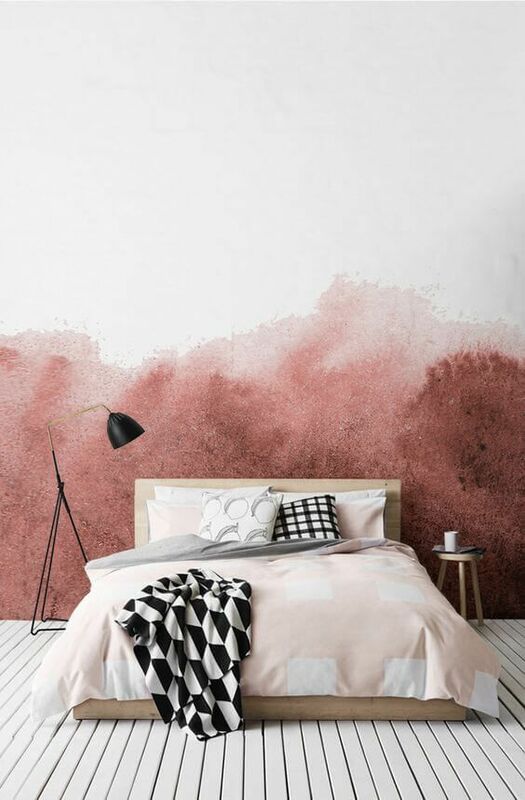 As mentioned in point one, red and white to make your bedroom look perfect is a good choice. Red gives a spirit while white is a neutral. Besides to make great gradations, you can apply the two colors on the wall as usual. You can apply red color on the wall behind the bed while white on the others. As a result, if the point one look artistic, this one is more modern. 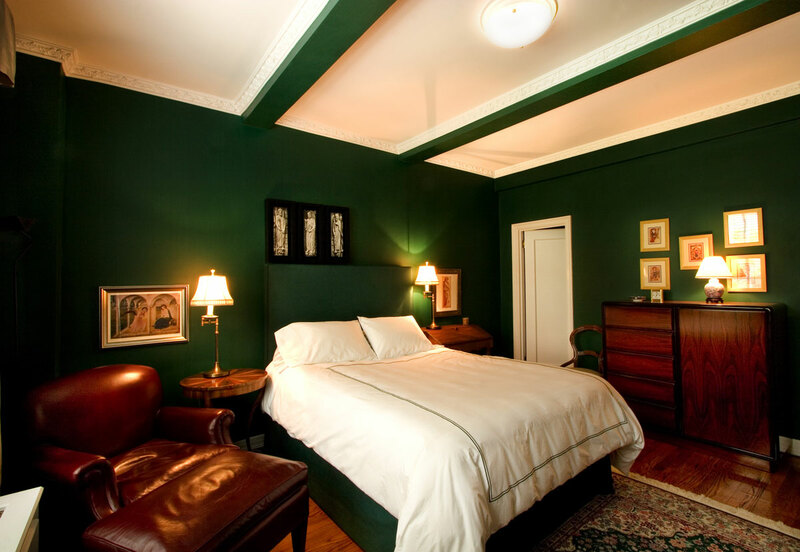 Green is the right choice color to beautify your bedroom. This color is a cheerful, fresh, and natural. You can combine the green color with white. It’s fair to apply the white color on the bed and on the line of windows. The result is so elegant. The red carpet on the floor makes this room more colorful. But actually you can choose other colors for the floor, such as yellow or pinks. It’s not not wise to choose colors that are too bright like red, blue, or yellow for small bedrooms. These colors are too flashy. Choose soft and neutral colors. Gray color seems to be the right choice. This color is softer. And modifying a small bedroom actually is easier. Simply draw a white picture in corner of the room, this piece of picture will changed the face of the room as whole. If you want to use other colors instead of gray for a small room, you can take calm colors such as brown or beige. If you want to combine colors, blue and green is a good choice. This combination will make your room look cheerful and always fresh. You can divide those two colors; one color on side beside the bed and the other is for the wall behind it. Then in each block there are lines with different colors. The color combination like the picture above looks unique with the curtain color adjusted to the colored line on the wall. It’s better if the color of bed cover is also fitted. If you want to get comfort in the bedroom, then the color of your room should be in accordance with what you expect. Dark green color may be an option. This color provides coolness in the room. And this atmosphere will make your resting time will be maximal. In order the the room is not too dense, you can give a white color on the roof. This color will help for the lighting. There are some products that you can use to color your room. One of them that we recommend is using Asian Paint. This product is widely used to color various stuff over the world. If you want to use it to beautify your room, you can take one or multiple colors simultaneously. To get a color like the picture above, it consists of gray, white, blue and yellow. And with right technique, the combinations of color makes your room look colorful. Gray is still one of the best choice color in 2018. This color brings calmness, and also presents a modernity. But of course, the arrangement must be right to get a perfect bedroom. 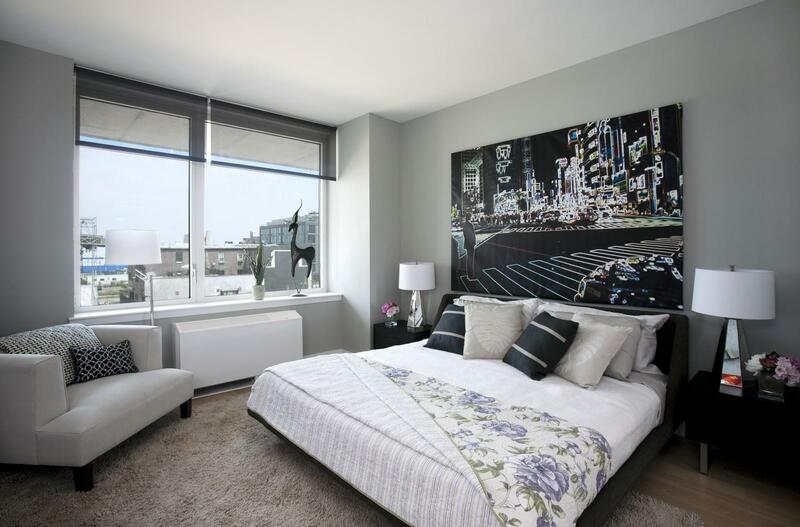 To make yours look unusual like the picture above, you can add a painting that is not light-colored. The color of the furniture is also should not be bright. Neutral colors such as black and white will make your gray room more beautiful. Couple Room means a room for two people. Therefore, the color selection should be negotiated. The most appropriate color selection for the couple room is the unobtrusive color. Dark gray in combination with soft gray is a good choice. Dark gray can be applied for the wall behind the bed while the soft gray on the other side, including vanity. To add an artistic and romantic nuance you can write a quote on the wall and put a photograph on the wall. Bedroom color for adults it’s better if you choos calm colors. It will bring aroma of luxury in your room. So, gold is a good choice. This color can be combined with white for the roof. While the color of floor carpet should fit with the dominant color of the room: gold. You don’t have to add a expensive accessories to make your room look luxurious. Just add some paintings then hang on the wall. By this way, your room will look luxurious and neat. Black and white color can be an option to make your room awesome. These colors represent shady nuance, calmness, which will make your resting time be happy. 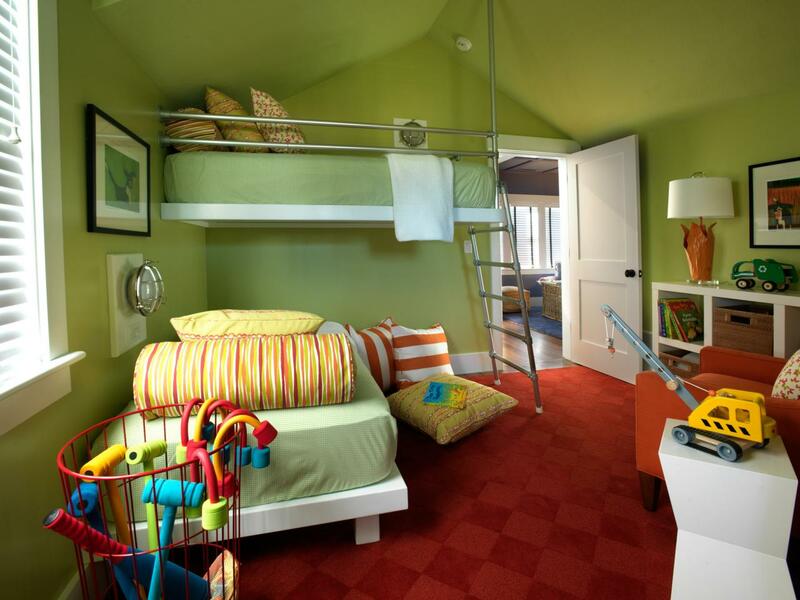 If you want to have a bedroom like in the picture above, you don’t need to put various accessories in your room. 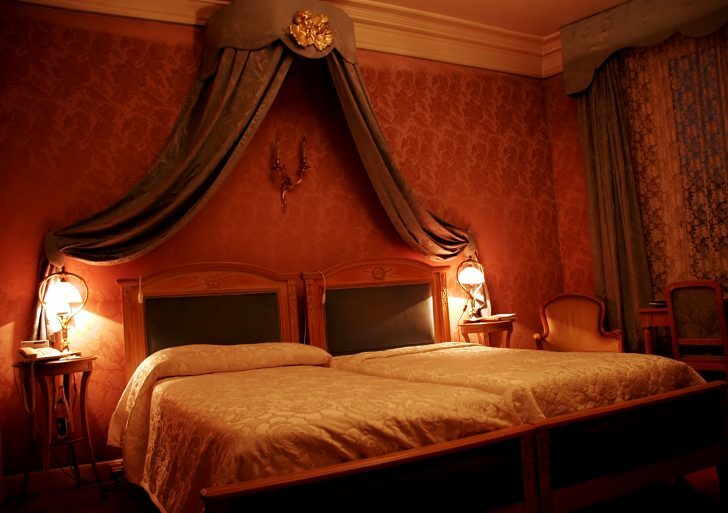 To make it look artistic, you can hang a decorative lamp and put some lights on the back of the bed. It will give a dramatic effect. The branches picture on the walls changes the room look more beautiful and natural. Guest bedrooms are usually not occupied too often. But it doesn’t mean this room doesn’t need to be arranged properly since giving comfort to the guest is a kindness. Well, to have best guest bedroom, this place should not be too ordinary but not too luxurious. Combining two colors between tosca and white is a good idea. The combination of the two colors transform the atmosphere in the room relaxed and friendly. So the guests who occupy this room will get comfort while resting. The door of bedroom is the first impression of the entire of the room. Therefore the color of the door should be selected correctly. 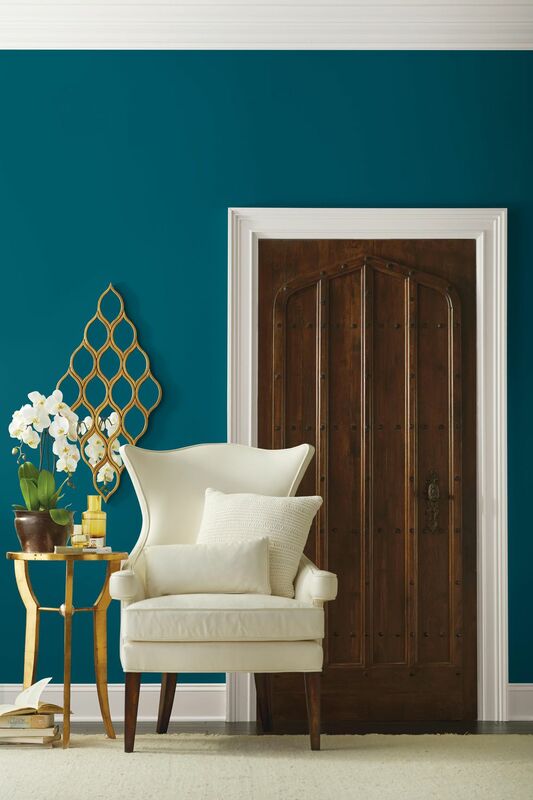 In addition, the color of the door should match the color of the room. 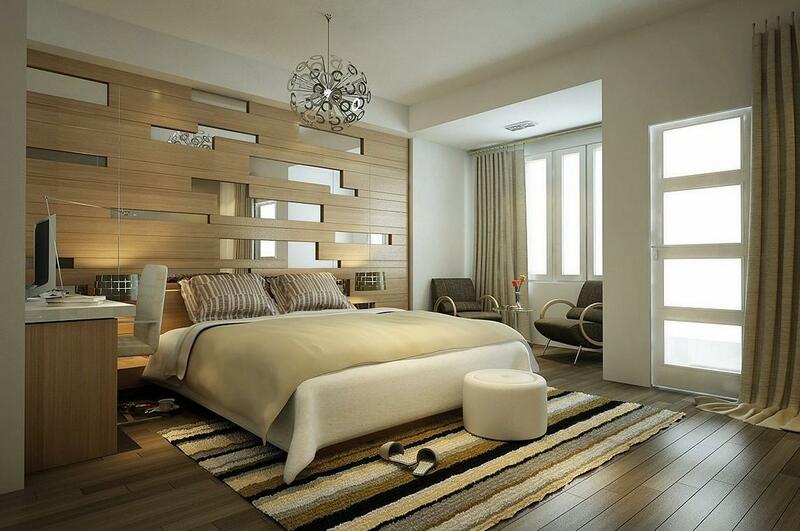 We recommend for the door of bedroom using neutral colors; white. This color is relatively suitable when combined with any colors. It’s a great idea if you give a mirror behind the door. It will make your room look very wide. If you want to adopt Indian colors in your bedroom, it’s better if you choose the dark colors like dark red. Then on the wall you can install a wallpaper with Indian motifs. On the roof, you can use white color in order the room is not too gloomy. You can also add a long curtain as a decoration to bring Indian style in your room. The wide bed made of wood will present a sacred atmosphere in the room as if it is in India. 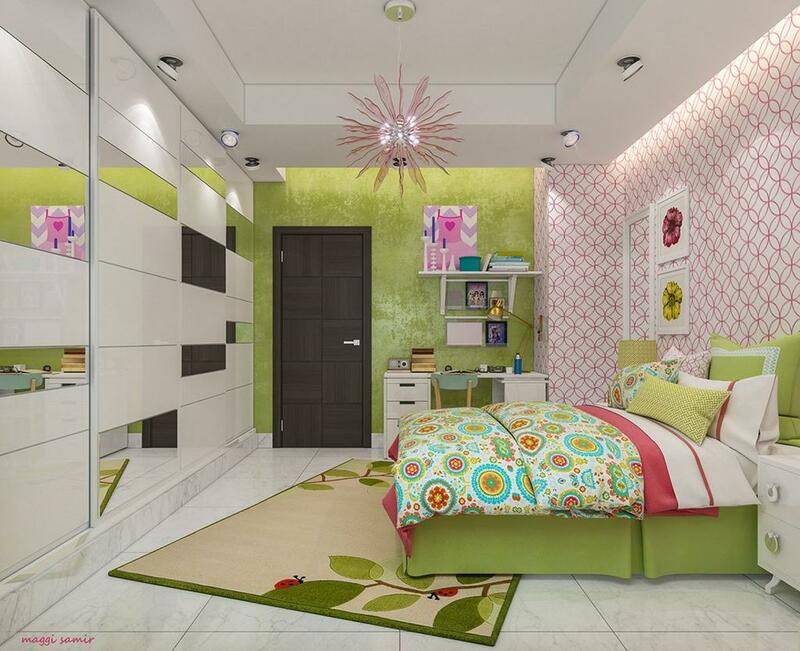 Green, pink, and white are the good colors to make teenage girl room full of color. Green, applied on the wall near the door. Pink applied to the wall along the back of the bed while white on the other part of the wall. The result is amazing as the picture above. The unique thing is the mirrors that are placed randomly on the front of the bed. They make this room more unique and cheerful. And cheerful, unique, colorful are the words to describe this great room. If you want to have a room with two colors, a combination between tosca and white is a beautiful choice. This color is very calm and fresh to look. In order everything look perfect, the furniture in the room should be white including cabinet, drawers, bed, and door. The combination of these colors and furniture makes this room look clean. You can put a little flower to present a beauty in the room. To get a romantic bedroom, it’s not only about the right color selection but involved the design for the room. For color that can bring a romantic impression, it’s better if you choose a calm color. Beige can be an option. Some parts in this room can be made of wood including wall and floors. The wood makes this room has natural look. So being in this room will be like being in the wild nature. 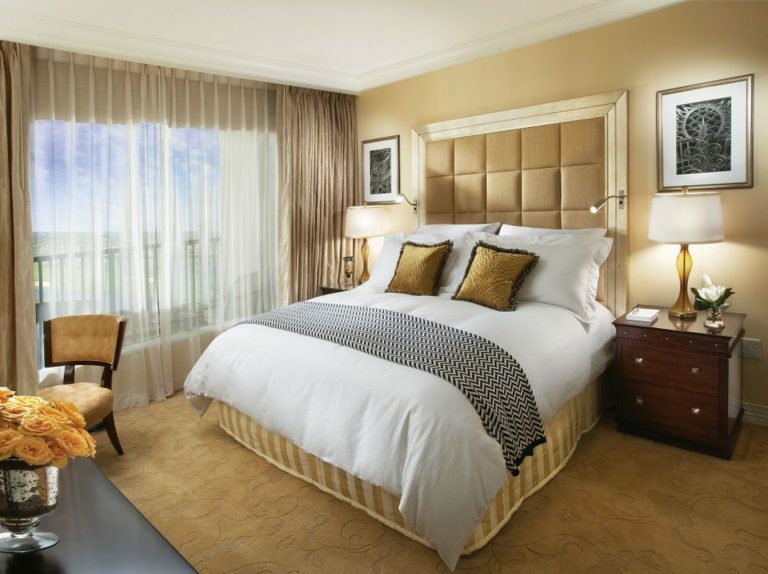 The presence of large windows makes this room even better. 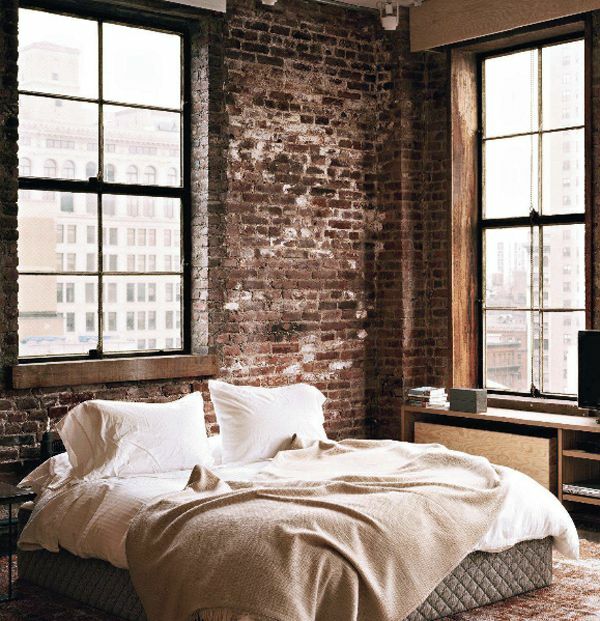 Especially if the window is facing toward outdoor view, then this room will be more romantic. Choosing Violet for bedroom will present a cheerfulness. It’s a good choice if you put a violet color for your room. Maybe this room is perfect for girls who crave a fun while being in the room. The violet color can be applied to the entire wall. Then the color of floor should be in violet too to make the room more beautiful. Then, the room will be all in violet colored. There are many colors that you can apply to color your room. 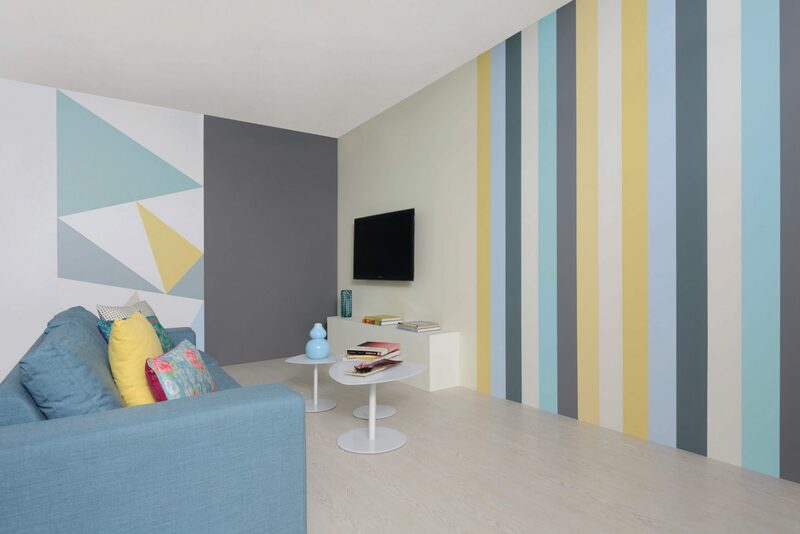 But a color palette as shown in the picture above can be an idea for you who want to modify your room. In the wall next to the bed, it has tosca colored then on the other part is cream. This combination of the colors that are not too different make a nice color palette in the room.